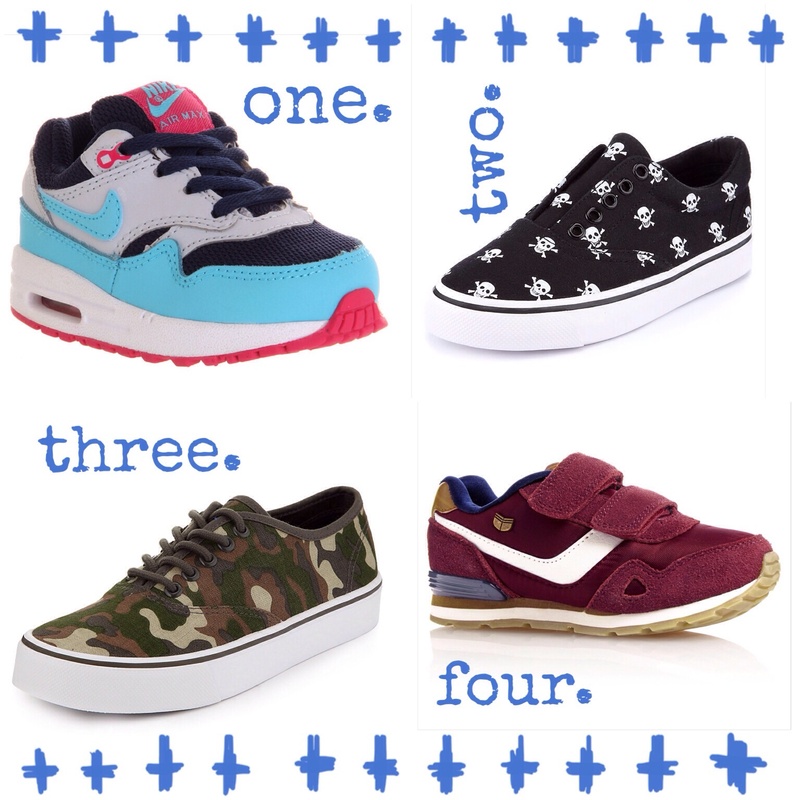 give a kid the right pair of shoes…. pt2! You may remember that one of my first posts was on school shoes, and the best of the bunch for back to school. Well I’m a total sucker for a cute little pair of shoes, and ended up bookmarking over THIRTY pairs of shoes for the post. That’s too many for one post (even for me!) so lucky you gets another post from me!. In the meanwhile, I managed to find sooo many more cutesy and cool pairs of shoes and boots, that I felt the shoes deserved their own post, and the boots deserved another, so now there’s going to be a part 3! A veritable trilogy of shoes and boots, if you will! Can you imagine anything any better?! I love the colour of the m&s shoes – a bit of brightness to counteract the dark winter. The cute rabbit on the toe is also a winner. 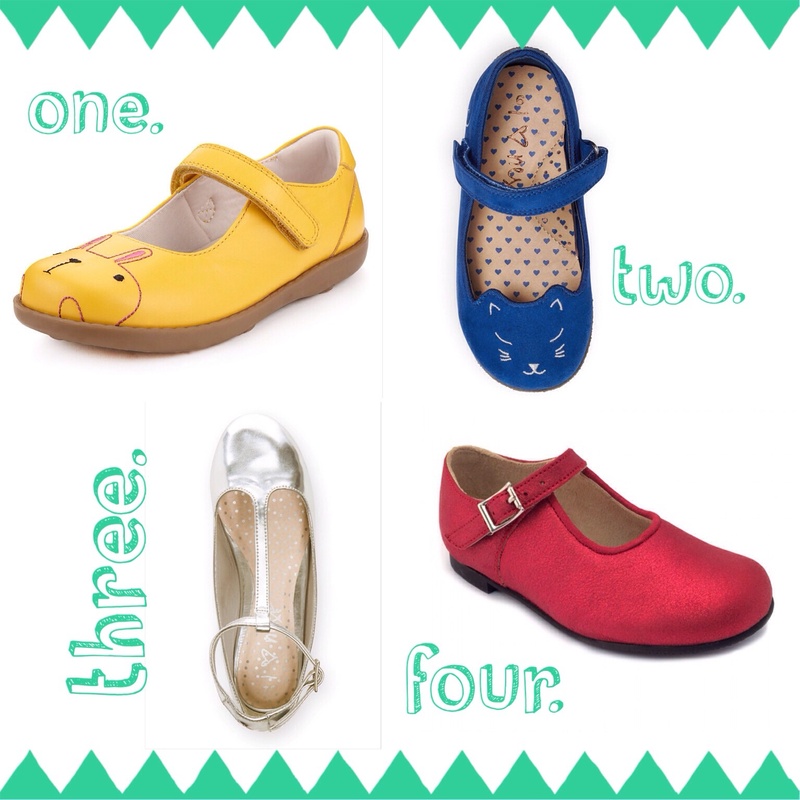 The next cat shoes also come in a version without the ankle strap, and available up to an adult size 7 so should you wish to buy matching shoes to your daughter, you can! I *may* or may not have done this…. The silver tbars are just so gorgeous, and look really modern and fresh, despite the traditional style, something that also applies to the Startrite shoes. They’re such a traditional shape with the round toe, and yet the metallic suede stops it from being too prissy. Startrite also do a leopard print version of the Annabel shoe which is *very* me but I thought the red ones would be better for *whispers* Christmas. I do love a converse (even if my daughter doesn’t – sob!) and I love the heart detailing on the laces and tongues on this shoe, it’s really cute. I actually bought these Next leopard skate shoes for myself however I have such high arches that I couldn’t even get my feet in them – a tragedy, as they are just so fabulous (and look so comfortable). These silver shoes are very much like the others from Startrite – traditional shape and clasp, but in a modern material, this time in a silver animal print. And the last pair are a pair that I will be seeking out for Coco – I do always try and buy her a shoe that has been probably fit to the width of her foot. Unfortunately Startrite doesn’t do many G widths (especially online, though I know that buying online contradicts the importance of a width fit shoe…) so I doubt I’ll be able to find the Caty or Annabel shoe for her, but these will be perfect anyway. Surprise surprise, not quite so many options for the boys…. I love these little Air Max – I’m usually a bit evangelical about not bothering to buy anything designer for little kids as they grow out of things so quickly, however these are ultra cute, and actually better value than I thought they would be. Given how much my son loves climbing and running and climbing and throwing and climbing, I think these would probably be good for him. I think these trainers from m&s are cool too, remarkably so for m&s! And likewise for the camo trainers – I saw a few trainers with similar print on them, so it looks as if this could be a trend for this season. And lastly these burgundy retro trainers are just that, perfectly retro. So that’s the shoes! A little something for everyone in there, everything accessible and not *too* expensive. All awesome though, no? I’ve saved plenty of amazing boots for the next post – boys probably get the better selection from that bunch, so stay tuned over the next couple of weeks. Let me know what you think below, I’d love to hear what you think of my selections – any places I forgot to look at? Any which you think I should have included? PS In other news, you may have noticed I have had a whole THREE AND A HALF DAYS off from blogging. And I’ve really missed it. I think I may have found something that I properly enjoy, and hopefully, am OK at. I hope you do too.